The Libon Rucksack is a well-structured urban pack for order-loving travelers. Two front pockets feature smart divisions for fast access to frequently used items such as keys, wallet, pens and phone; a softly lined extra compartment also stores your smartphone or sun glasses scratch-free. 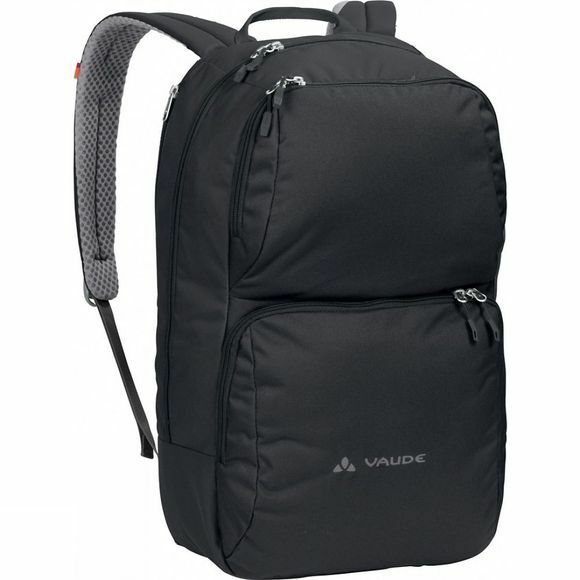 Vaude's large main compartment provides ample space for everything you need for daily life at the office or university. 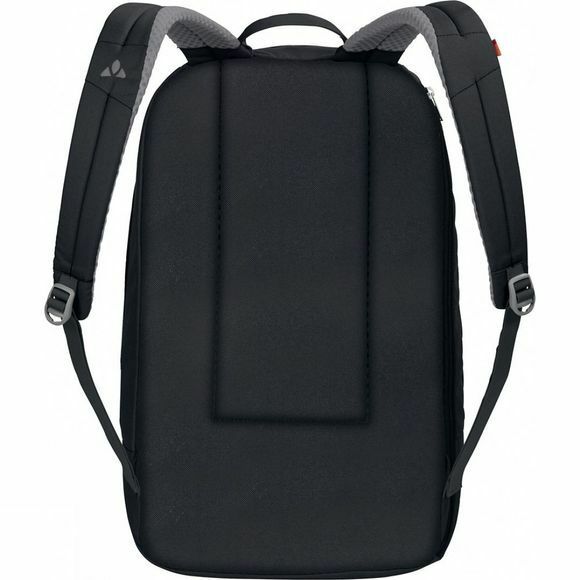 A side zip padded compartment accessible from the outside is ready and waiting for a 15.6" notebook and the extra padding on the floor ensures that if worst comes to worst, everything remains intact. The back panel and shoulder straps are also padded–so this versatile urban pack is still comfortable even if it's fully loaded.